As the Federal Government intensifies the search for alternative sources of revenue to oil, a fish farmer, Mr Femi Odueko, has advised government to invest in fish production to generate revenue. Odueko, the Managing Director/CEO of Catfish Experts Global Ventures, said that the fish industry has huge potentials to engage many Nigerians meaningfully. He told the News Agency of Nigeria (NAN) on Sunday in Jos that the daily consumption demand for fish in the country was very high. Odueko, however, said production was inadequate compared to demand. The managing director stated that Nigeria could also export fish to other countries and gain favourable balance of trade as well as revenue for itself. According to him, the demand for Nigeria’s smoked fish is very high in countries like United Kingdom and Germany. 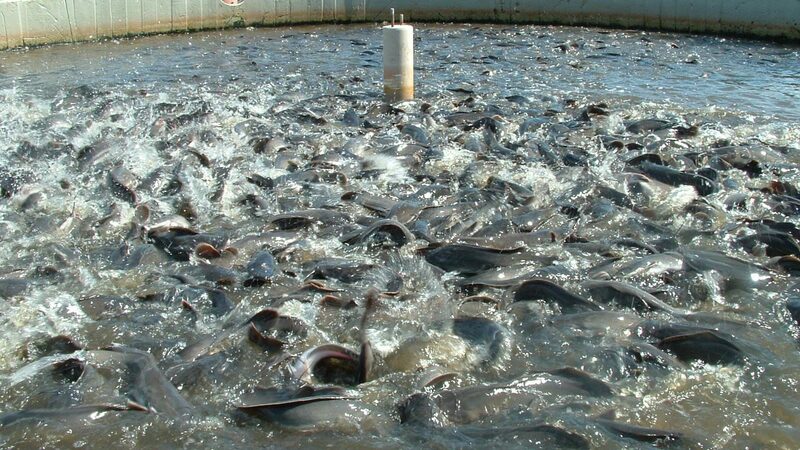 Odueko, who owns a fish farm with over 100, 000 fishes, said the country is blessed with natural climatic conductions that favours fish production. He, however, said the necessary enabling environment had not been created for farmers to operate profitably. “Fish is a very lucrative business if facilities are already on the ground. “ One can invest as low as N450 and make a profit of N550 per fish. “ It costs just N450 to raise a fish from fingerling (juvenile) to table size (1kg) for a period of six months and sell it at the cost of N1,000, making a profit N550. “The good thing is that there is a ready market for fish. “ A farmer does not need to go and search for buyers, buyers will come looking for him because demand is very high. “A medical doctor or a civil servant can comfortably be a fish farmer and it will not interfere with his/her regular work. “You can feed your fishes in the morning and go to work and you can only feed them again when you close from work,” he said. He stated that fish had been certified to be healthy for human consumption compared to other sources of protein because of its low cholesterol. In spite of the huge potentials inherent in fish production, Odueko said that the cost of fish mill, an ingredient for fish feed production, was very high. According to him, fish mill is usually imported while the high import duty is forcing feed producers to sell at exorbitant rates. “Fish mill used to be N12,000 per 50kg, it later became N14, 000 and then N25,000 before rising to N45,000. “Government can help farmers to either reduce the import duty on feed mill or make it completely duty free. “Government can boost the fish industry by assisting farmers with soft loans to expand their farms,, ” he said.